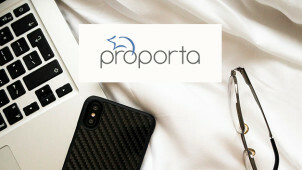 The Proporta story began in 1996, with a British company looking to excel in the fast growing world of mobile phone case design and tech accessories. It prides itself on quality, innovation and a rigorous dedication to satisfying the customer. All of its cases are designed in-house by its Brighton based design team, with a cutting edge attitude towards style and functionality whilst accommodating the latest in technology and the fashions too. Proporta is proud of its no fuss customer service, that will strive to help every customer at the drop of a hat. Number one on its list of priorities is customer satisfaction - this is why it offers a lifetime exchange warranty on all Proporta branded cases. Now firmly established as the go-to retailer in phone case technology, Proporta sells a large range of the biggest and best known brands of mobile phone, including all the latest models. It also provides an extensive collection of accessories such as chargers, adaptors, headphones, docking systems and more. How do I use my Proporta promotion code? If you are on the hunt for money off, then sign up to Proporta’s newsletter. Type in your email address in the newsletter box and you will be sent various discounts, bargains and information on new product lines. Does Proporta allow me to use my student discount? Yes it does. You can enter your details into the check out. Does Proporta cater for businesses? Click here to read about the opportunities that Proporta provides to businesses wishing to use its services. Can I track my Proporta order? Yes; simply login to your account here and you will be able to track your order. Delivery costs £2.95. For other delivery options then click here. Proporta offers a lifetime exchange warranty on all of its products. If you are in mad, passionate love with your mobile phone and want to give it a treat - go to Proporta. Use our Proporta discount code and choose from the very best in a wide collection of mobile gadget accessories that will spice up your mobile experience with a range of practical applications. With an eclectic mix of designs, innovative looks and fantastic build quality there really is no excuse for not grabbing some nifty savings today! Are you one of those people who gets annoyed when you see someone wearing the same t-shirt, hat or pair of trainers as you? When choosing a Proporta mobile phone case, you have the option of stamping your own individuality on it, and show off a fancy new case that is unique to you. Proporta boasts a specialist laser engraving personalisation service where you could engrave your initials, name or even your favourite lyric or quote. Whether it's a picture you've created yourself, your favourite image or bit of artwork, Proporta's staff will print it onto the case. It’s pretty amazing how some people can commit to a contract mobile phone that costs as much a couple of months rent, but don’t bother getting a protective case. Proporta provides a vast range of lovingly crafted mobile cases that cater to whatever modern smart phone you possess. Use our Proporta voucher code to save on a stylish case that could potentially protect your beloved phone from the worst case scenario.